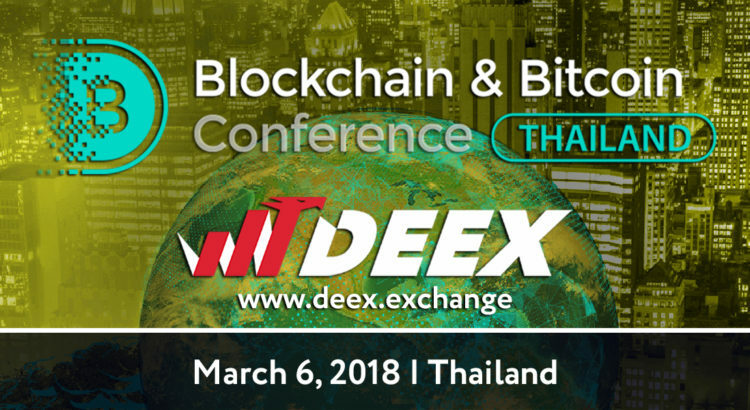 March 6th, 2018 DEEX team participated in the Smile-Expo’s Blockchain conference in the heart of Thailand, in Bangkok. This event was among the series of international blockchain conferences, where DEEX acts as the main sponsor. For the city to attain status of crypto capital there are still issues that have to be overcome. One of the matters that were shared by all the projects presented is fiat gateway. Also a major problem in Thailand as not long ago bank account of TDAX (Thai Digital Asset Exchange) in Bangkok Bank was terminated and the negative sentiment from government persists. Furthermore, the trust issue was one of the most frequently raised topics, due to the influx of maliciously intended projects in crypto community and nearly 42% of ICO’s not being able to finalize their aims in 2017. The DEEX team being the main sponsor of the conference confidently faced the issues showing the solutions in the fast-changing Blockchain world. As a surprise to the guests and speakers of the event, we showed our revolutionary DEEX mobile app, that allows user in real time transfer tokens between Bitshares wallets in couple of seconds. We gifted to the most active guests newly made wallets with Bitshares coins on them. As a front development team in the Bitshares community (DEEX attained Bitshares Accreditation in February), we feel obliged to propagate not just our project, but the new future that is possible with the revolutionary Bitshares Blockchain. Everybody was astonished by the swift transaction operations possibility through the app. Moreover, DEEX application is integrated with investor dashboard of DEEX ICO ecosystem, so investors are able to gain access to their accounts via this application. At the conference we have met new potential investors, traders and partners for DEEX ecosystem. For example, we have established business connections with the developers of stable coin on the Ethereum blockchain, which is asset backed by fiat currency — Thailand bat. DEEX soon will list this stable coin on our exchange, such that investors will gain access to reliable way of keeping their savings in stable currency in times of cryptocurrency storm. Moreover, some conference participants found out interest in developing the network of self-service crypto ATMs, produced by the DEEX. So, soon this ATMs will appear in some areas in Bangkok, as well as at the popular resorts. The DEEX community is surprised by the fact that crypto conferences attract not just computer geeks and enthusiasts, but people from financial world of authoritarian countries, where demand is not satisfied by the governmentally regulated supply through severe restrictions. 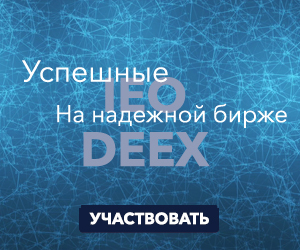 Moreover, the help and the will of the financiers to deliver decentralization with DEEX in those problematic regions also their way of making impossible possible are astonishing. Furthermore, DEEX’ prerogative is to help people, that is why we cannot leave other projects in dead-end created by regulations and always stretch out our helping hand to the ICO’s in early development or developed project in need of functionality of our platform, thus be prepared for the new partnerships on the way. We are sure, that our road show in the Asian region was quite successful, such that we found investors, partners, traders, ambassadors in such regions as: The Philippines, Thailand, Malaysia, Indonesia. Soon, after the launch of DEEX cryptocurrency exchange, DEEX road show will continue in such countries as China, Korea, Japan.